An antifraud system should stop suspicious orders from a virtual store and avoid losses from credit card fraud, right?In fact, this is only part of the scope of the tool. A good antifraud should optimize the performance and the conversion of the establishment, approving the maximum of transactions and denying only those that will become a chargeback. Marcyn, one of the largest lingerie and beachwear industries in Brazil, and also the owner of the menswear brand Casa das Cuecas, knows it well. Fraud wasn’t a problem for the company, which had chargeback rates under control. But David Bluvol, the group’s e-commerce manager, realized that there was in risk analysis itself a possibility to improve the conversion of online sales and increase brand revenue. “We were curious about Konduto’s innovative approach to stopping frauds and we got in touch to meet them, but we had no intention of switching suppliers. After all, fraud wasn’t a problem for us”, says Bluvol. But it was necessary to change. And quickly! “Konduto showed us in 20 days of operation that more than 50% of the orders barred by our antifraud solution were not suspicious, they were actually orders from legitimate customers. These purchases were being denied and we stopped making money. We were a few days away from Black Friday and realized that we needed to change our antifraud urgently. We didn’t want to miss another day – let alone a Black Friday!”, says the group’s e-commerce manager. 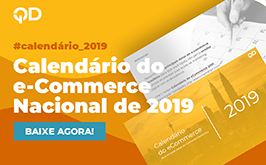 When Marcyn group reached Konduto, they had a cancellation rate of 7.1% – a very high number, considering that the rate of fraud attempt in Brazilian e-commerce is approximately 3.58%. “But there was an aggravation: the types of products of these stores (underwear and beachwear) aren’t so targeted by fraudsters. So we believed that it was possible to drastically reduce this false positive rate”, says Milton Tavares Neto, one of Konduto’s co-founders. Our tool cancelled on suspicion of fraud only 1.6% of the orders of Marcyn and Casa das Cuecas, against 7.1% of the other solution in force – that is, the cancelation of orders for the brands fell by 77.4%. Following our recommendations, the group still had a 6% increase in sales – better than many marketing campaigns, right? But the chargeback rate has increase a bit, right? The answer is NO. Even if it approved more sales, Konduto didn’t allow the chargebacks to increase. In fact, we have even been able to reduce this indicator! If the contestation rate previously was below 0.5%, with Konduto the index fell to less than 0.1%! The group currently uses the Konduto Complete product – a bundle with highly accurate automatic analysis and a manual review of our team of analysts who try to verify suspicious orders, always seeking to increase the merchant’s conversion rate. Konduto is a partner of VTEX and has a very oiled integration with the largest e-commerce platform in Latin America. Therefore, the implementation process of Marcyn and Casa das Cuecas with us took place quite simply and quickly, in less than 2 days without the need to involve an entire IT team. “The results presented by Konduto were very interesting, and the ease of integration with the VTEX platform made it all the more advantageous for us. We delivered to Konduto the risk management of our e-commerce and we are very glad we did it,” concludes Bluvol. Konduto wants to help you too! If you enjoyed our case with Marcyn and Casa das Cuecas and were interested in knowing a little more about Konduto, send an email to sales@konduto.com and tell us how we can help you with our online store. We are a startup developing an innovative technology to bar e-commerce frauds. Our intelligent anti-fraud monitors the client throughout his purchase journey in your site and evaluates the transaction in real time – our answer is given in less than 1s! We detect only the purchases that are really suspicious, approving more orders and reducing the costs with frauds.